Controversial lawmaker who is also considered as the fiercest critics of Pres. 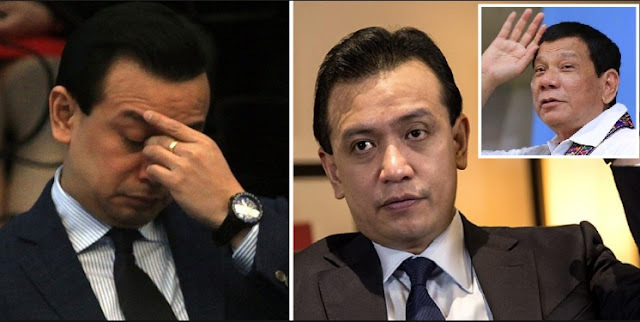 Rody Duterte, Sen. Antonio Trillanes was a "No-Show" during the continuation of the hearing of his case inciting to sedition and proposal to commit coup d' etat filed against him over his remaks after Malacañang ruled that the amnesty granted to him was invalid. According to the complainants in a 12-page reply to the senator's counter affidavit, they insisted that the lawmaker's statements, which were quoted by the media, are not covered by the parliamentary speech or debate privilege. Citing legal precedents, the complainants argued that Trillanes "cannot invoke the parliamentary non- accountability to insulate his statements, uttered outside the sphere of legislative activity, from judicial review". "Evidently, Trillanes was not acting as a member of Congress when he made the statements under question. They bear no relation to the discharge of official functions or in aid of legislation. In fact, the acts of sedition were perpetrated as he was displeased and furious with the President for promulgating Proclamation No. 572, voiding his amnesty," the complainants said in their pleading. They also noted that Trillanes did not make the statements in a legislative debate. "It cannot likewise be successfully contended that they were made in the official discharge or performance of petitioner's duties as a senator, as the remarks were not part of or integral to the legislative process," they added. "Trillanes’ intemperate use of profane, foul, vile, seditious words or language, and resort to scurrilous libels against the President or the government, his ardent call on the military and the police to disobey the orders of the latter, as well as his stealthy proposal to the armed forces to launch a coup, as above recited, undoubtedly constitute the crimes of inciting to sedition and proposal to commit coup d’ etat. Hence, Trillanes should be held to account for these crimes in accordance with law,” they said. The complainants, lawyers Nasser A. Marohomsalic, Jacinto Paras, Eligio Mallari, and Manuelito Luna urged the prosecutor to order the filing before the courts of several counts of inciting to sedition and one count of proposal to commit coup d' etat.